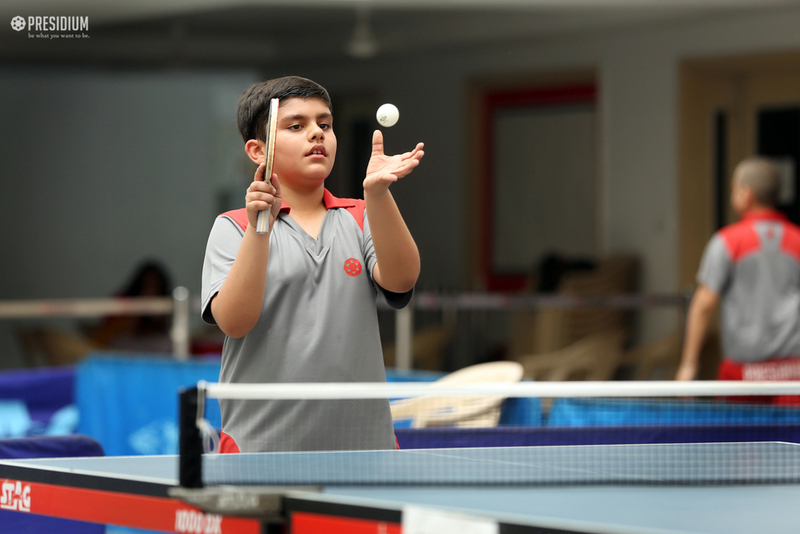 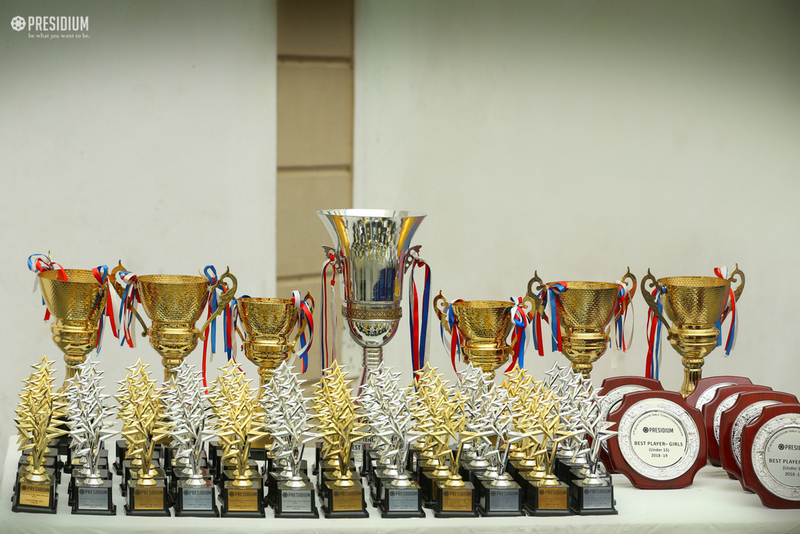 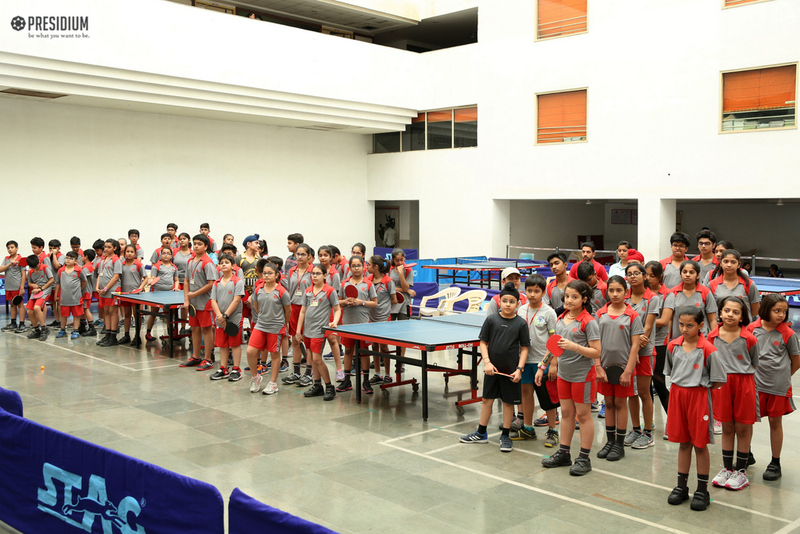 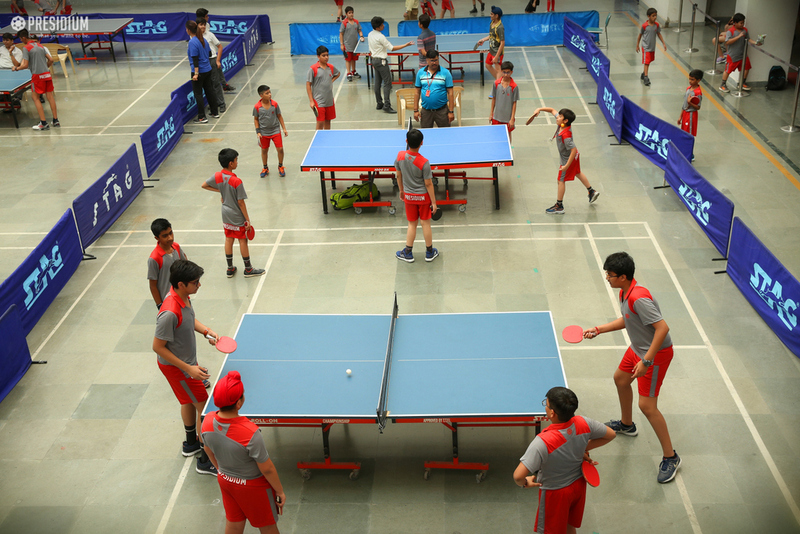 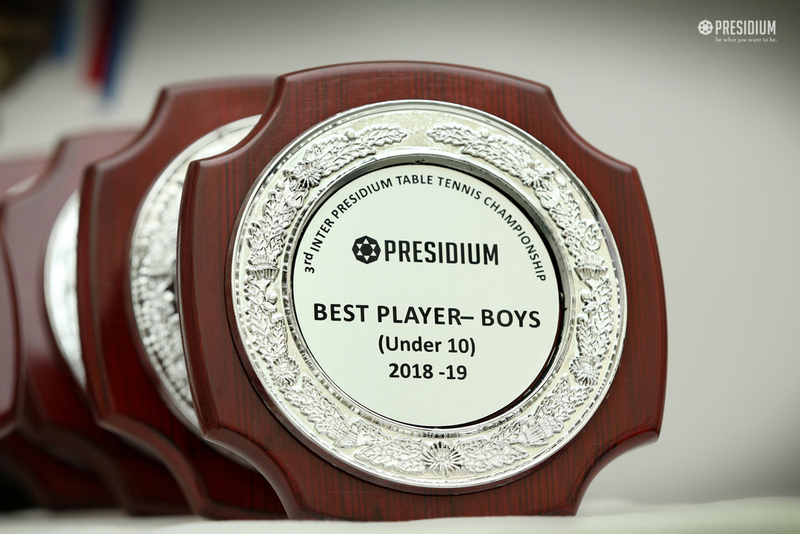 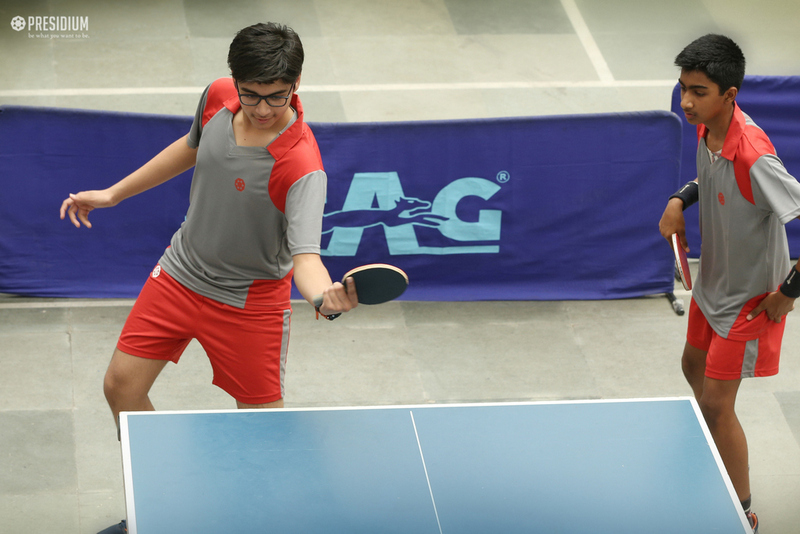 The young students of Presidium Gurugram recently participated in the 3rd Inter-Presidium Table Tennis Tournament Championship, packed with boundless zeal and euphoria. 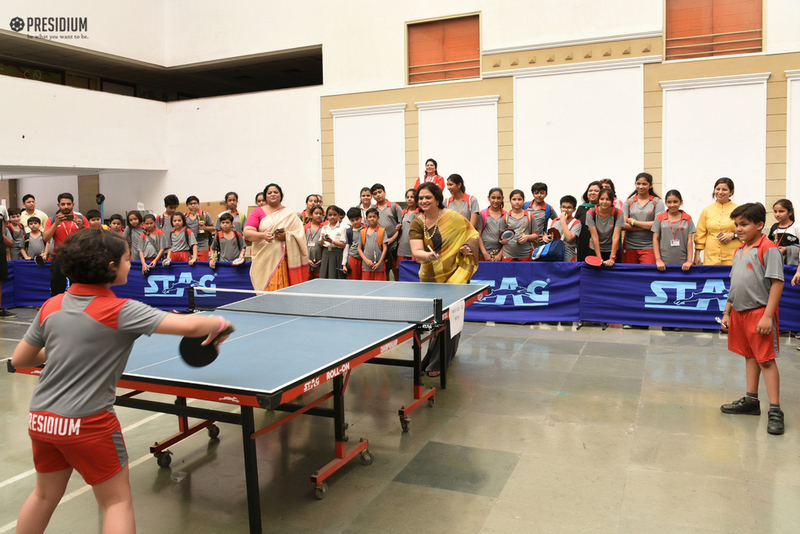 The event was graced by the honourable chairperson of Presidium, our dearest Sudha Ma'am, who also humbly shared the table tennis court with the young athletes. 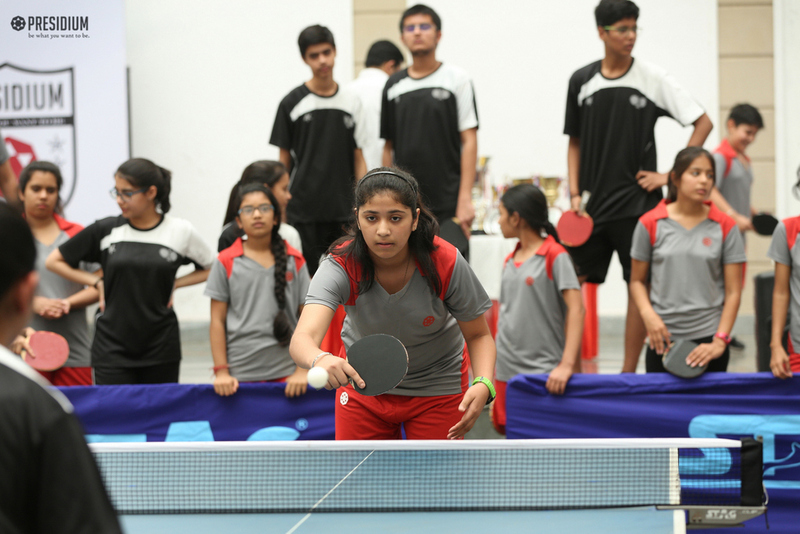 Witnessing participation of more than 132 students from different branches, the competition featured 30 matches under different age categories for both Boys and Girls. 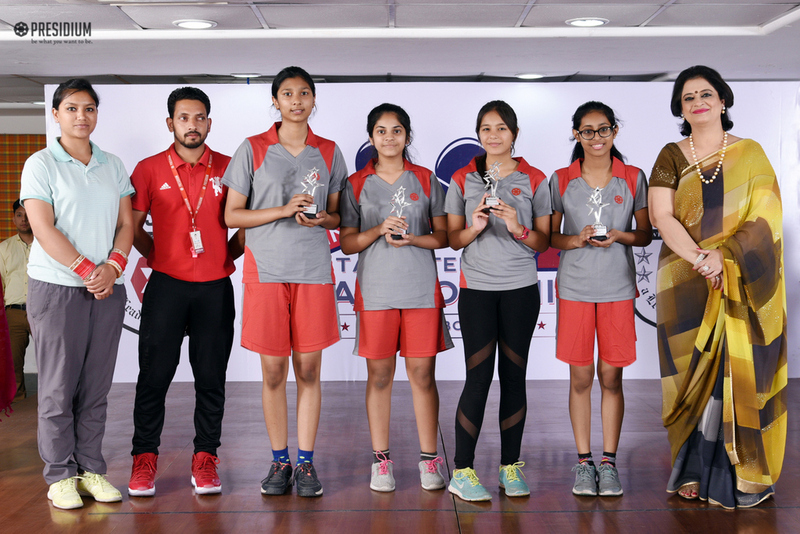 Our budding tennis stars of Under-15 Girls category received the Runners-Up trophy, shield and certificate from Sudha Ma'am, which ignited a fire in their hearts for doing better in their future endeavours!